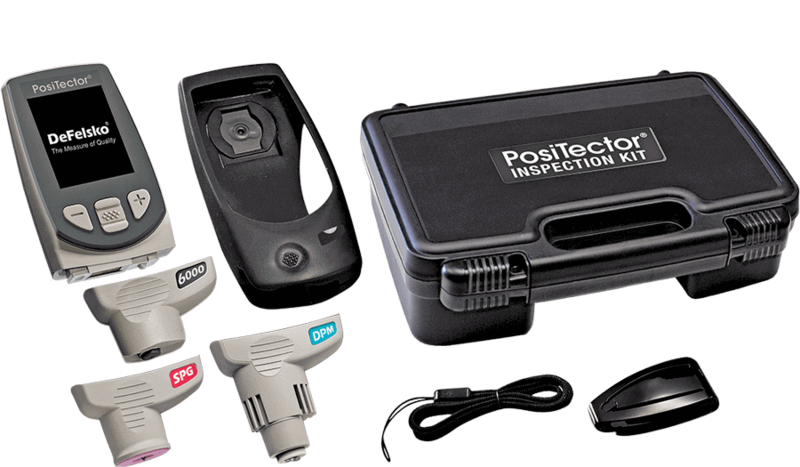 PosiTector Inspection Kits contain a PosiTector gauge body (Standard or Advanced) and 3 probes – coating thickness, environmental and surface profile, as well as, accessories in a convenient hard shell carrying case. 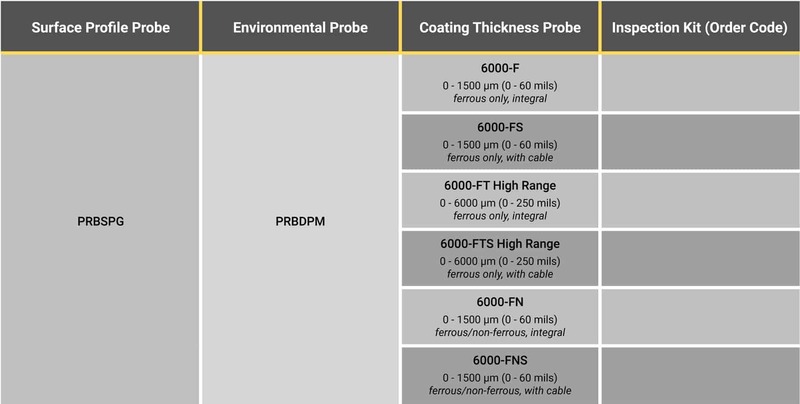 The PosiTector Inspection Kits are available with your choice of Standard or Advanced Gauge features (see Feature Comparison Chart or click individual order code below). 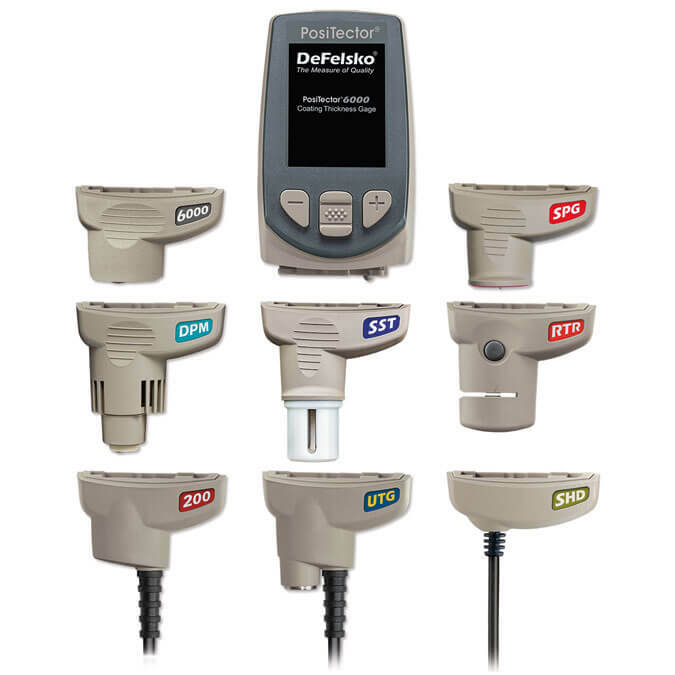 Each PosiTector body accepts the PosiTector 6000, DPM, and SPG probe included in the kit easily converting from a coating thickness gauge to a dew point meter or surface profile gauge. Select from 8 pre-configured kits (build your own – custom kits also available). What Is In A PosiTector Inspection Kit? Kits come complete with a gauge body (Standard or Advanced), coating thickness probe (user selected), environmental probe, surface profile probe, precision plastic shims, glass zero plate and metal shim, protective rubber holster with belt clip, wrist strap, 3 AAA alkaline batteries, 3 instruction manuals, hard shell case, protective lens shield, 3 Long Form Certificates of Calibration traceable to NIST, USB cable and 2 year warranty on gauge body and probes. 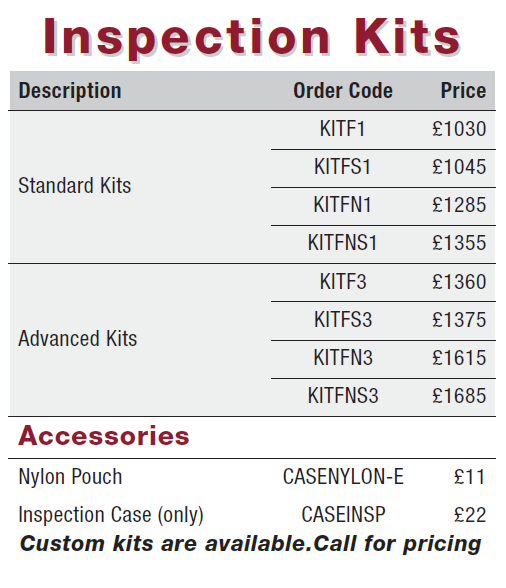 All the useful accessories to accompany your PosiTector Inspection Kits can be found here.